Set up your smart bridge using Lutron App for Caséta Wireless on your iOS or Android device. Once you've added Lutron to Harmony, you can create Activities which include compatible Lutron Caséta products. 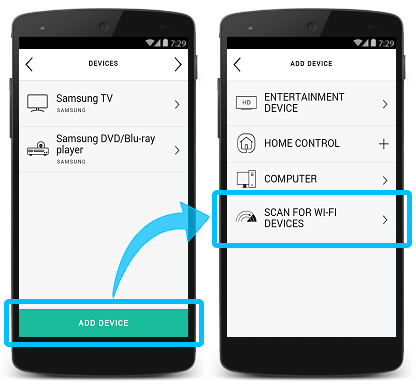 Select SCAN FOR WI‑FI DEVICES and Harmony will search for any connected Lutron devices on your home Wi‑Fi network. 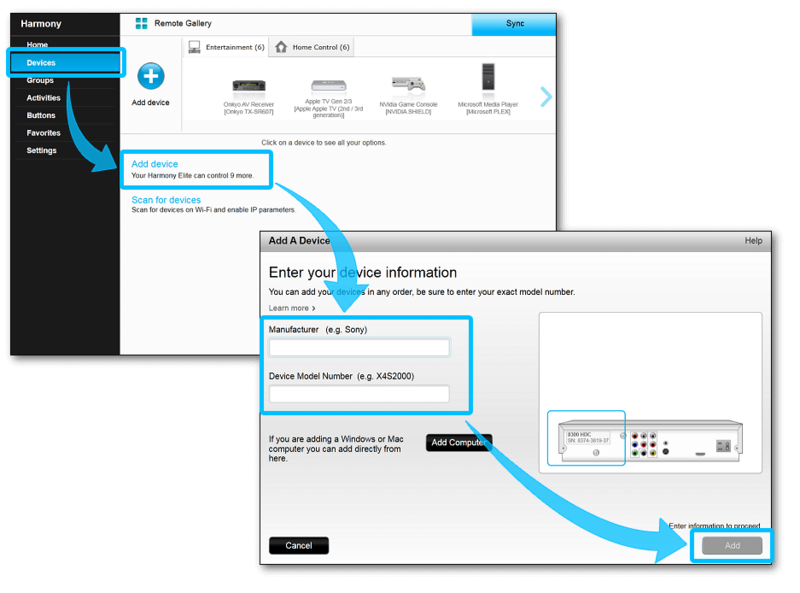 Finally, tap the checkbox next to your Lutron device and tap > in the upper right-hand corner. 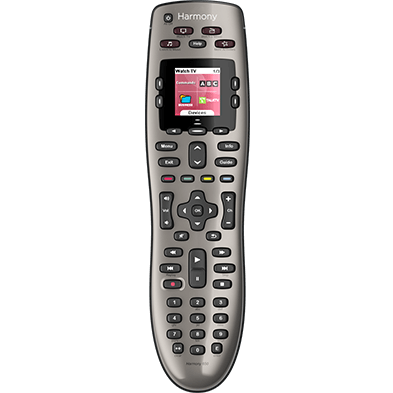 Select your Harmony product from the Remote Gallery. 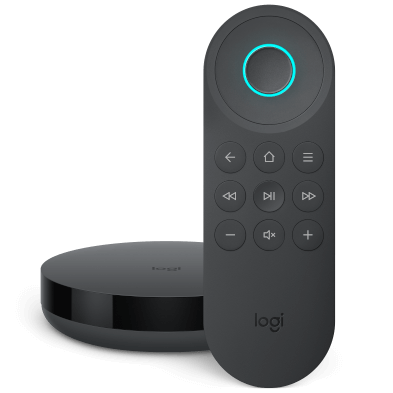 Select the Devices tab, then Add device. Enter manufacturer Lutron followed by your Lutron model number. Finally, select Add to complete the process. Access the Devices screen and select Lutron Caséta Light. On the settings screen for the selected light(s), you can see and set the color, temperature, brightness and on/off for that light. Tap and hold on the light until a vertical line appears. Then slide your thumb/finger to set the desired brightness. Release your thumb/finger and the lights will adjust to the new setting. Access the Devices screen and select Lutron Serena Shades to see the current level of the shade. Tap and hold the shade lever and slide your thumb/finger to set a new level. Release your thumb/finger and the shades will move to the set position. Within the Harmony app, you can also include Lutron Caséta Lights and/or Serena Shades as part of a Harmony Activity, and automatically set the mood whenever you start the Activity. The Harmony Team has validated the following Lutron Caséta Smart Bridge models. Harmony connects with your Lutron Smart Bridge using your home Wi‑Fi network. Please ensure your Lutron Smart Bridge is connected to the same home network as your Harmony hub. 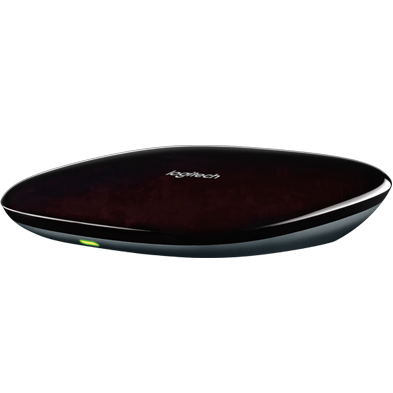 As Harmony and the Lutron Smart Bridge communicate over your home Wi‑Fi network, Harmony remotes that do not come with a Wi‑Fi enabled Harmony Hub will be unable to control Lutron products.